If you haven’t been following developments in the alleged discriminatory recruitment into the Nigeria Immigration Service—which has now been overturned by the Ministry of Interior—you would be excused if you think I’m nuts for having “terrorism,” “recruitment” and “Nigeria Immigration Service” in the same phrase. 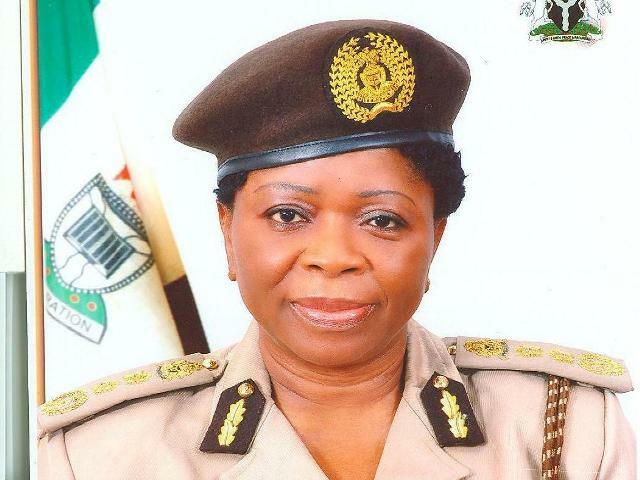 But it was Mrs. Rose Chinyere Uzoma , the Comptroller General of the Nigeria Immigration Service, who made the connection. When I first read this in the social media I ignored it. I thought it was made up by some petulant, self-pitying, over-indulgent northern crybaby. I didn’t think anybody was capable of that level of rank imbecility. OK, I take that back. A minister of power, Hajiya Zainab Kuchi, recently took the cake in official imbecility when she blamed “evil spirits” for Nigeria’s embarrassingly dysfunctional power sector. (I read somewhere that her aide has absolved her of responsibility for the statement. It just keeps getting weirder and wackier). But Mrs. Uzoma’s faux pas is particularly worrisome because it plays right into Nigeria’s tricky and testy primordial fissures. If the reports I read in Daily Trust are credible, the north appears to be disadvantaged in the recruitment that the Interior Ministry just invalidated. Since “terrorist” is now the insult of choice some (certainly not all) southerners throw at northerners in moments of aggravation, Mrs. Uzoma’s statement is now being interpreted by northerners to mean a whole host of things. First, many northerners have taken the interpretive liberty to say that by “terrorist” Mrs. Uzoma was using a “dog-whistle” rhetorical tactic to refer to northerners, especially because northerners appear to have the least representation in the now voided recruitment. Second, she is understood as implying that because “terrorists” and “northerners” are now indistinguishable, she wanted to save the immigration service from being infected with the virus of terrorism by recruiting as few northerners into the service as she possibly could. All this would have seemed like wildly improbable conjectures but for the absolute low watermark to which Nigeria has descended in inter-ethnic relations lately. 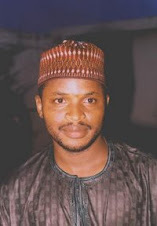 Last week, I wrote about the bigotry and impropriety of the insinuation in some wacky, ethnocentric circles that the plane crash that took the lives of Governor Patrick Yakowa, General Owoye Azazi, two pilots, and two aides occurred because the plane was piloted by a “Hausa man” who couldn’t possibly be smart enough to handle the complexity of air navigation. Many people have called my attention to a more callous, insidious insinuation that says that the pilot was a “terrorist” who was on a suicide mission to kill Christians! No less a person than Femi Fani-Kayode, a former minister of Nigeria, propagates this insensitive conspiracy theory on his Facebook timeline. So this has gone from being the scorn-worthy whispers of the vulgar herd to the discursive staple of some members of “polite” society. And an invidious narrative is taking hold in our national discourse, and that narrative is the notion that northern Muslims can no longer be trusted in the military and paramilitary forces. Their every move is now monitored and their motives scrutinized. It appears that the sins of the crazed, homicidal, and misguided terrorist Boko Haram is now being visited on every Muslim. This has deepened the persecution complex that many northern Muslims already grapple with. Her case is not helped by the revelation that Kano, which our latest census figures say is Nigeria’s most populous state, has only 350 officers in the immigration service out of the Service’s current staff strength of 25,000. Sokoto State has the fewest number of officers with only 200. Imo, where Mrs. Uzoma’s husband comes from, has 1,190 officers. Now, I’m the first to admit that this may well be selective, self-serving statistics. It is entirely possible that if we see the complete list of states and the distribution of officers from every state this narrative would crumble. It may also very well be that when Mrs. Uzoma said she didn’t advertise the positions in the Immigration Service because she wanted to keep terrorists out of the service she didn’t mean what she has been interpreted to mean. She was probably just fishing for an excuse, any excuse, to explain away her violation of public service recruitment protocols. I hear that Mrs. Uzom is a thoughtful and level-headed person. I don’t imagine that she would knowingly say and mean something that crude, hurtful and stupid. But in this season when suspicions and distrust have hit the nadir of hoplessness, it won’t hurt for public officials to guard what they say in public. If I seem to be less concerned about her alleged nepotism than I am about her use of “terrorists,” it is because as a communication scholar I am sensitive to the implications of (in)advertent perpetuation of stereotypes through language. I am a Gambian and stumbled upon your blog a year ago and had since been coming back. I have recommended it to many friends who are enjoying your postings. You need to go back to Nigeria to give back to your troubled country. You're a genius sir.